Synopsis: Konami recently sent us a review copy of their newest action adventure horror title, Silent Hill: Shattered Memories. 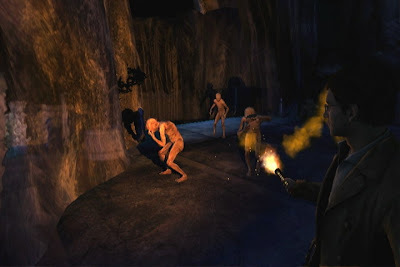 This is the first time the Silent Hill franchise has made an appearance on the Wii and the developers have successfully worked to increase the fear aspect of the franchise by using the Wii remote as a flashlight and cell phone to unlock key story elements. 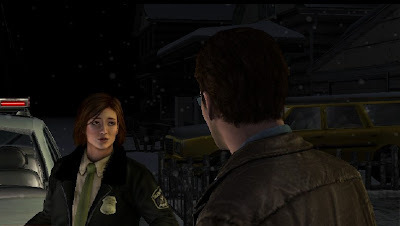 Shattered Memories follows the main character, Harry Mason, who is trying to solve the mystery of his missing daughter throughout the city of Silent Hill. Choices in which the player makes throughout the story shape how the character interacts with characters, objects, and places. 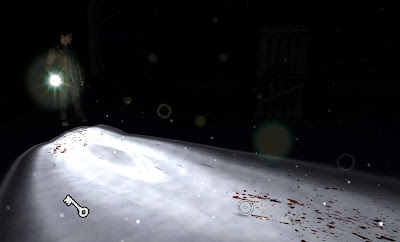 Praise: This title was put together very nicely and the soundtrack, psychological tests, messages, and the flashlight controls make it one of the scariest games I have played in a while. I must admit when I started the game and went through the psych test, I did not realize the input in which it had on what I would encounter, but after having to do multiple tests through the story, I put a lot more thought into my answers and would even go back to my previous save point to see what would change from answering differently. The graphics are crisp and dark, mixed with the soundtrack that gets more intense when you are about to encounter a voice mail and the dimming and flickering of my flashlight, actually had me holding my breath waiting for something to pop out, and that is what makes it as scary as it is. The story is great and I do not want to spoil anything but does move forward nicely making you want to keep playing and with the different outcomes on my interactions, had me immediately go back for more punishment. Gripes: The title was rather short taking me about six to seven hours to complete. The controls also got incredibly frustrating at times when it came to trying to knock baddies off of me and maneuvering the flashlight and movement, controls were overly sensitive and headache inducing at times. Lastly, the camera is just plain bad, mainly when you are being chased and trying to run to the next highlighted ledge or door to get away, as the placement makes it very difficult to locate where it is you need to go. Overall, even though the game was short, it was scary and had strong replay value. Despite the issues I had with the control and camera, the soundtrack adds to the fear element and the shock value when you encounter really intense story elements. Along with the intention to scare the player, this title has made me think about my actions more than anything I have played in a while. Mashbuttons.com gives Silent Hill: Shattered Memories an 7 out of 10. 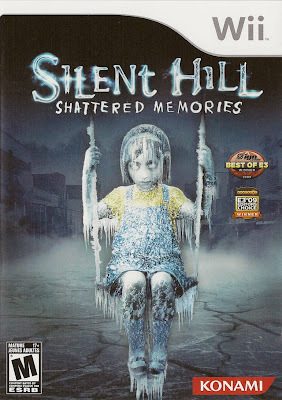 Silent Hill: Shattered Memories is available now for the Nintendo Wii.